"That night, murder wasn't the only sin." In the movie Anges of God, Sister Anges is found in her room with a dead baby. She is accused of killing the baby and tells the doctors she does not remember anything. Mother Miriam states that she is innocent and has been lying to her about a number of things throughout the years. Anges does admit she was pregnant to the doctor. 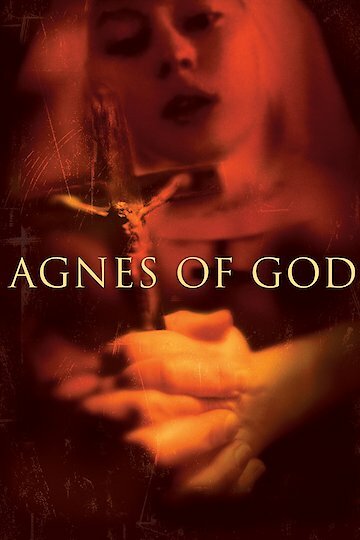 Agnes of God is currently available to watch and stream, buy on demand at Amazon, Vudu, FandangoNow, iTunes, YouTube VOD online.